My daughter LOVES the Arthur Murray Kids class… I can’t believe how much they learn in their hour class each week. Awesome staff, everyone is so friendly, even the other students. The environment is relaxed, and when you walk through the door it always feels like you’re coming home. When you’re considering learning a new skill, such as dancing, the first step is always the hardest. At Arrowhead Arthur Murray in Peoria, we make it as easy as possible, by offering you your first lesson for free. 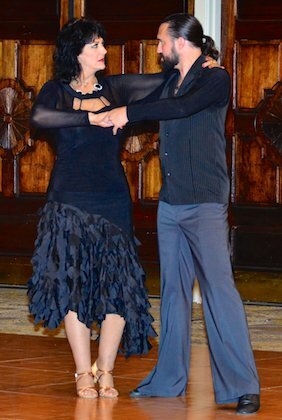 Our instructors have been successfully teaching people how to dance for 100 years. We welcome anyone and everyone, from beginner to advanced dancers, singles, or couples, to come in and pursue your dream of learning how to dance. Call us today at 623-974-3500 to arrange your first lesson! Whether you are interested in getting out of the house and meeting new people, or have a desire for a new, active hobby, dance may be exactly what you’re looking for. Our students have lots of fun, and some students even reignite the passion with their significant others. Dancing is a great way to get in shape or maintain your physique, while learning a great, new skill. We have a staff of highly trained instructors ready and waiting to meet your dance lesson needs. Our studio is family-oriented and we are dedicated to providing a comfortable atmosphere, in which you can learn easily. We have won many awards, including maintaining the number one Instructor in the world spot, held by two of our Teachers for years. We are the four year winner of Tournament of Champions: 2009, 2010, 2011, 2012, and are third in the world for Professional Competitor Couple. We are proud to say that our students have won multiple scholarship divisions. At our studio, we bring in the top teachers and champions to work with our students, creating an excellent learning environment. Don't miss out on our Website Introductory Special : 4 classes for only $49! Don't put off learning dance any longer, contact us at 623-974-3500 and take that first step today!